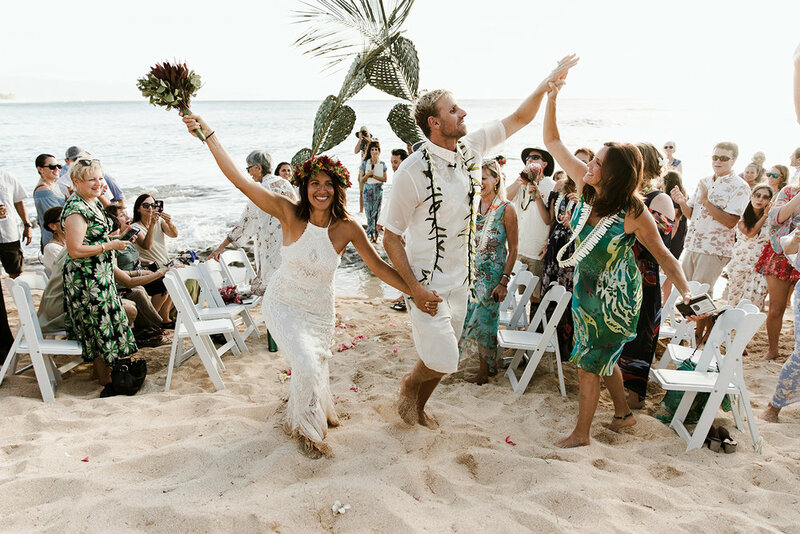 Aaron and Nina's wedding was one for the books! 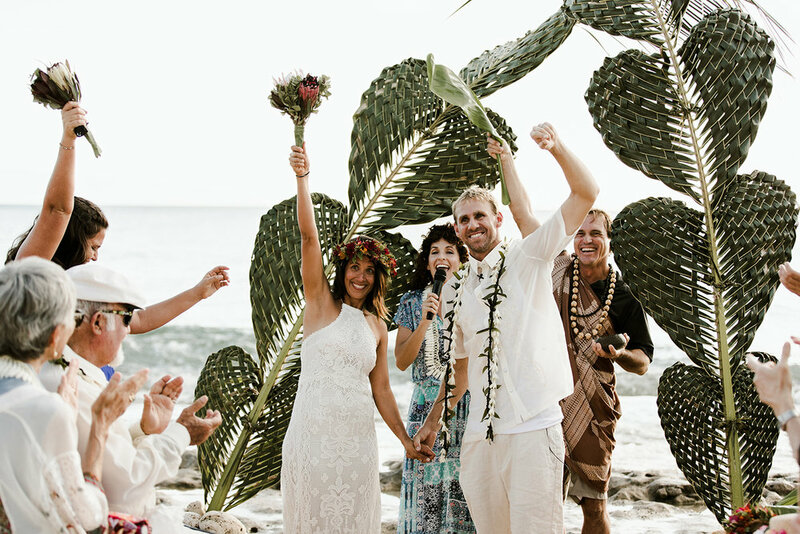 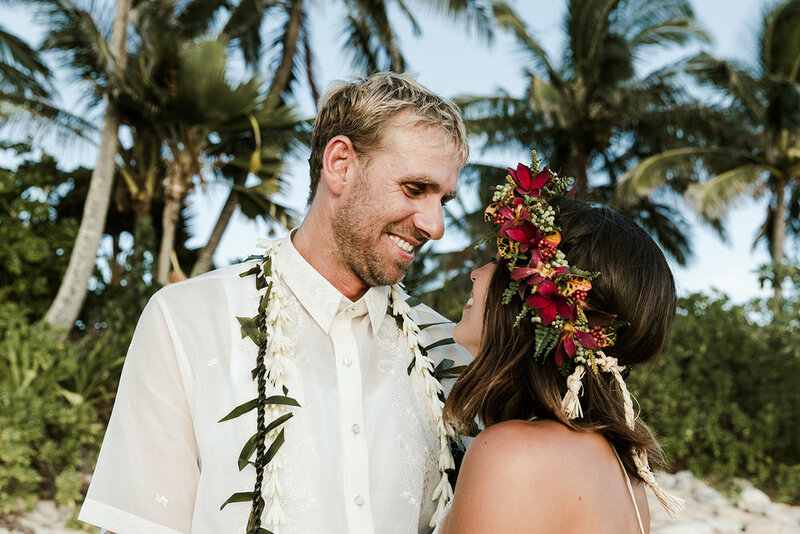 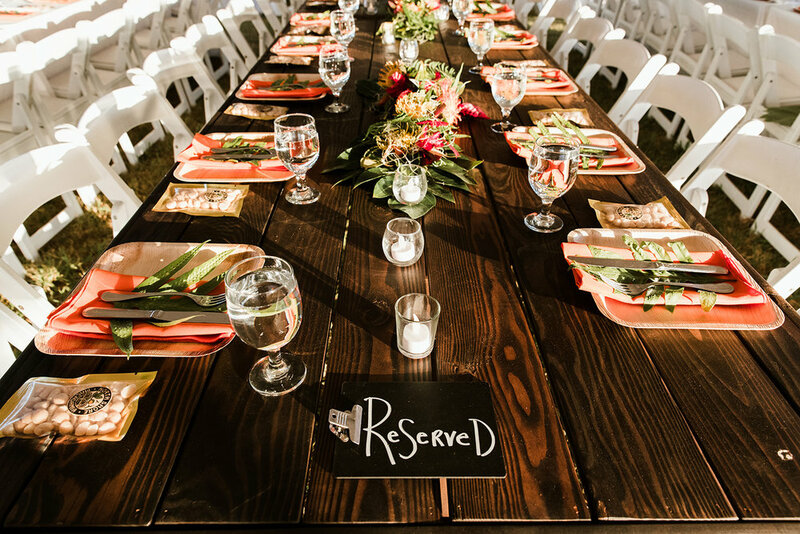 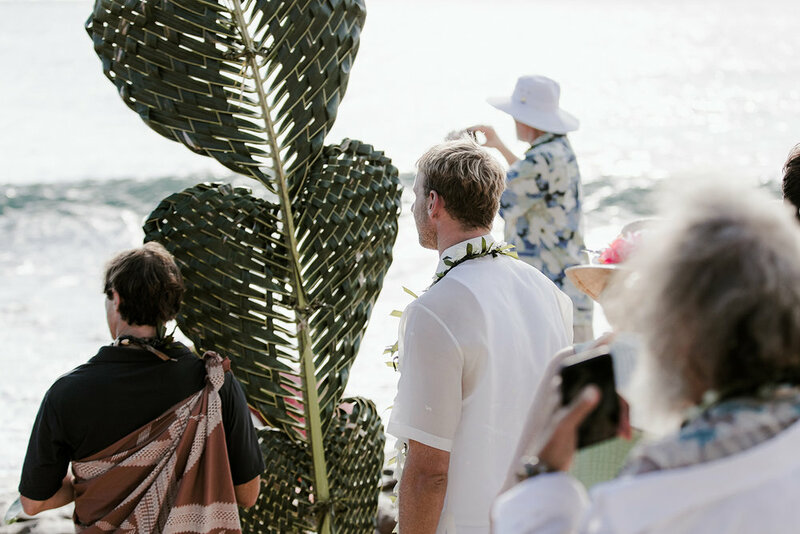 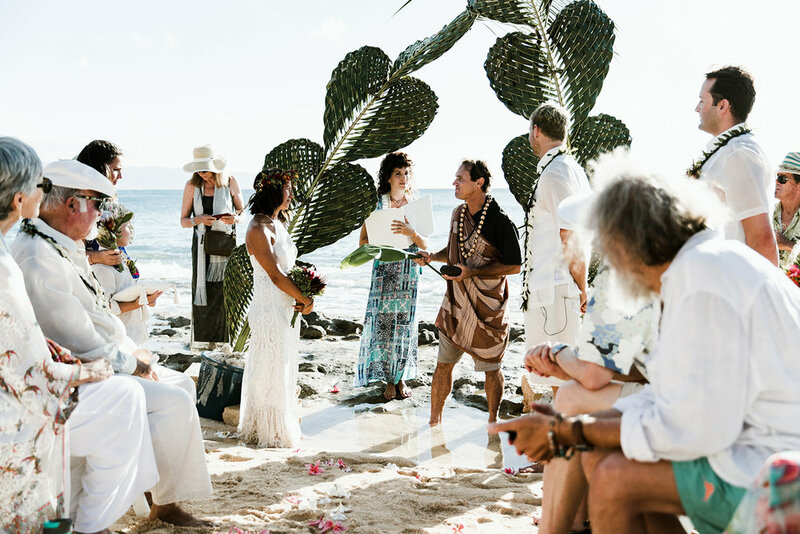 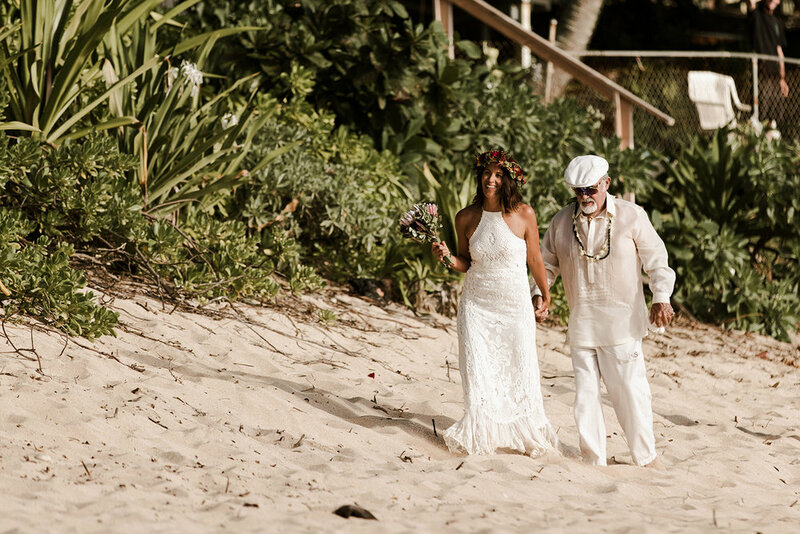 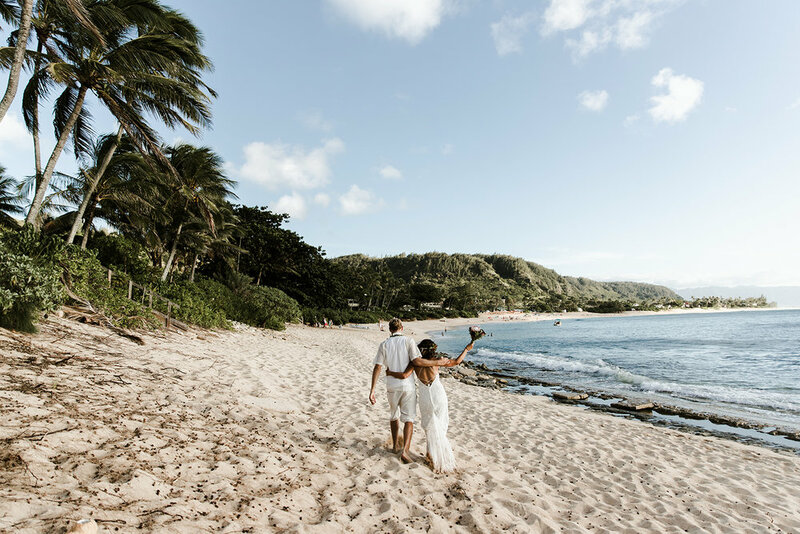 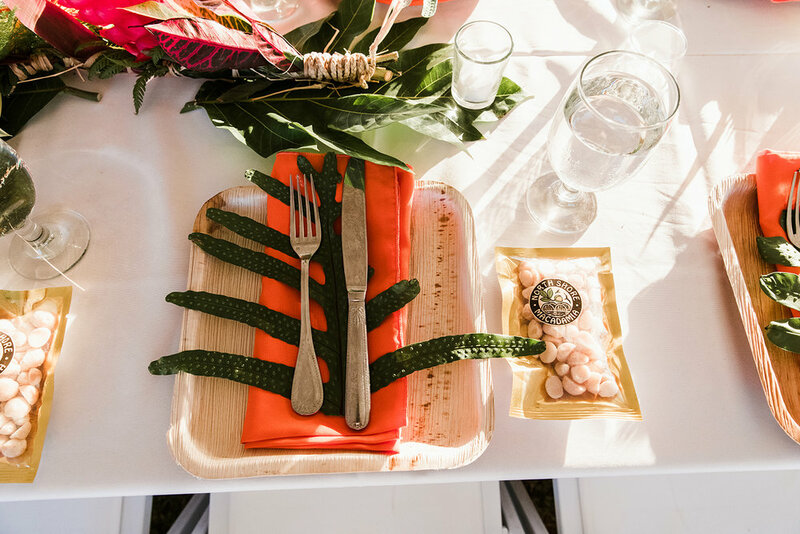 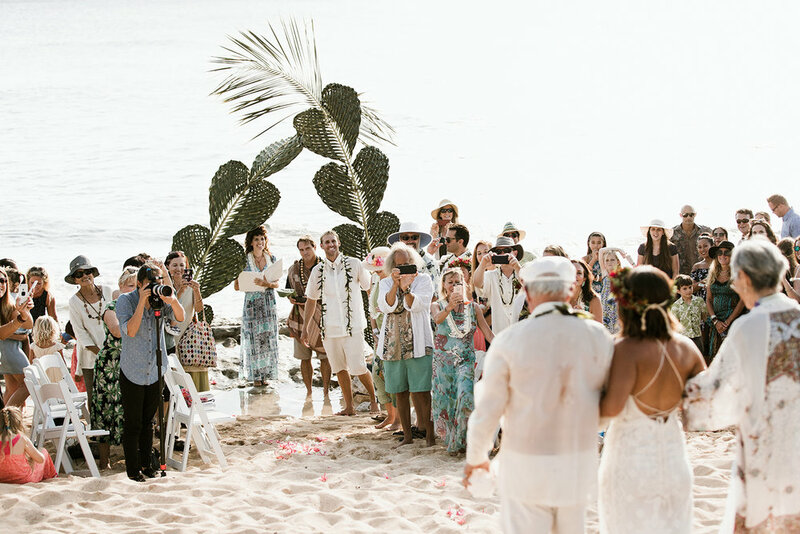 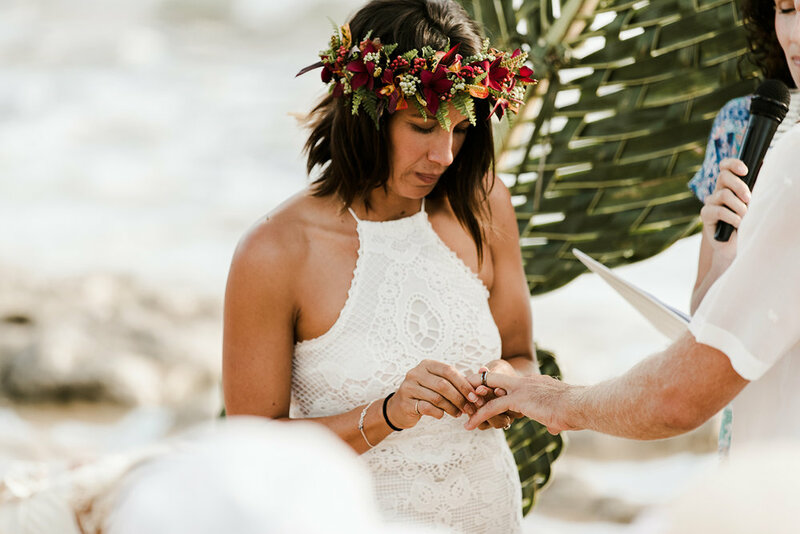 The ceremony took place on Sunset Beach on the island of Oahu, Hawaii. 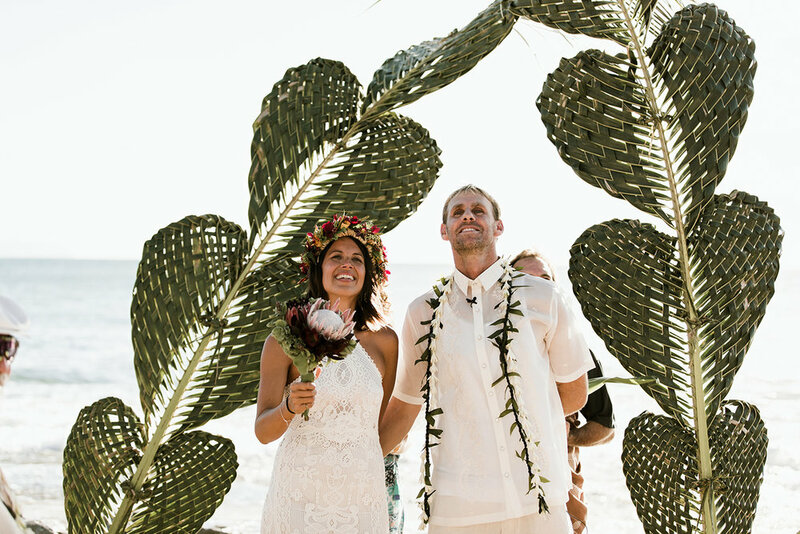 Shoes off for these two as they stood on the shoreline to exchange vows on a beautiful sunny summer day. 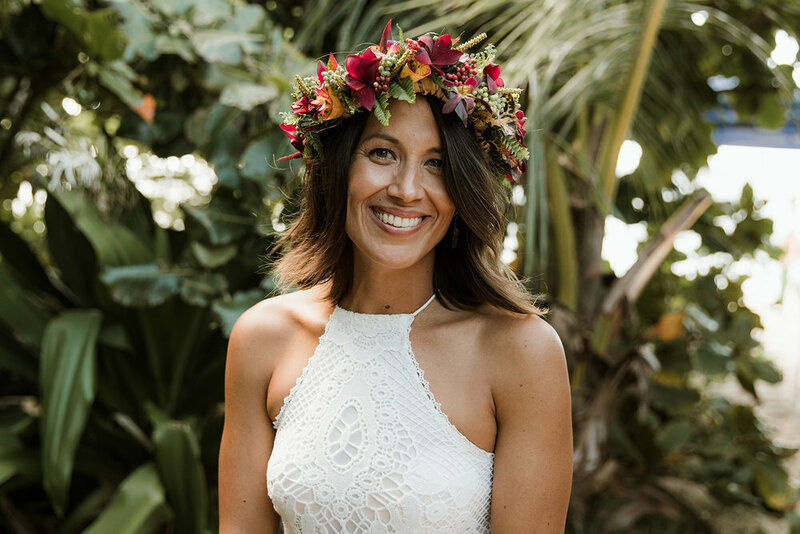 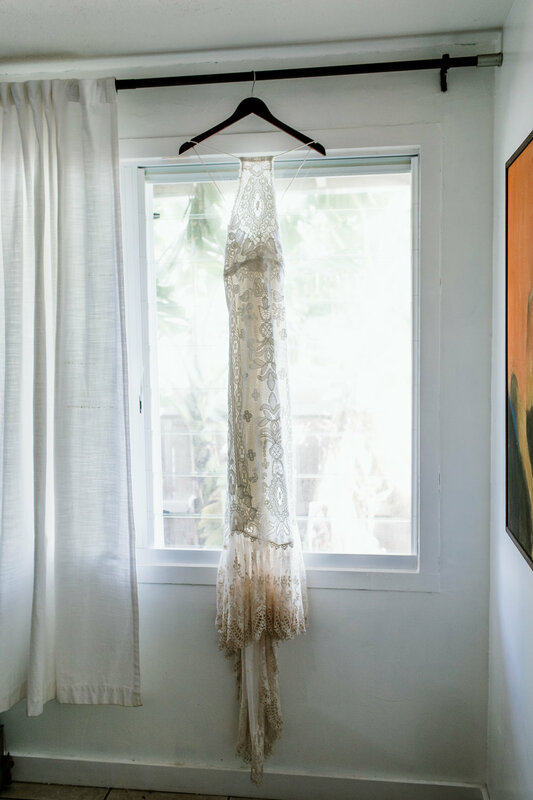 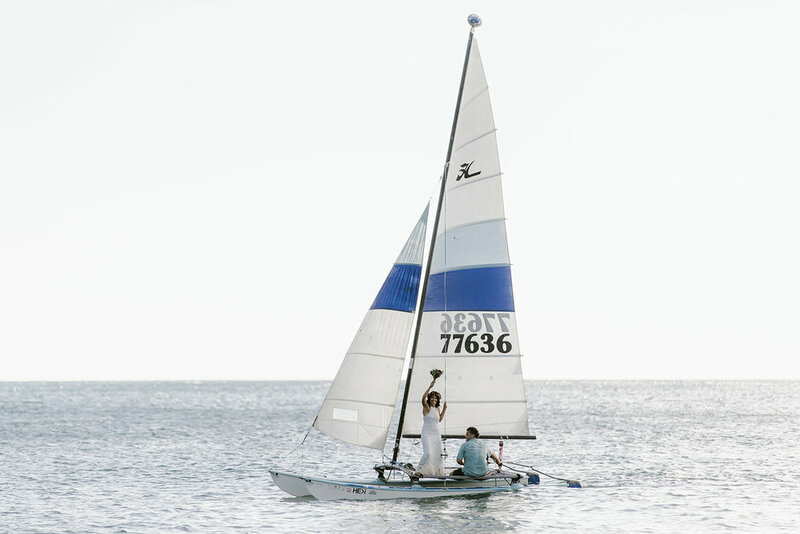 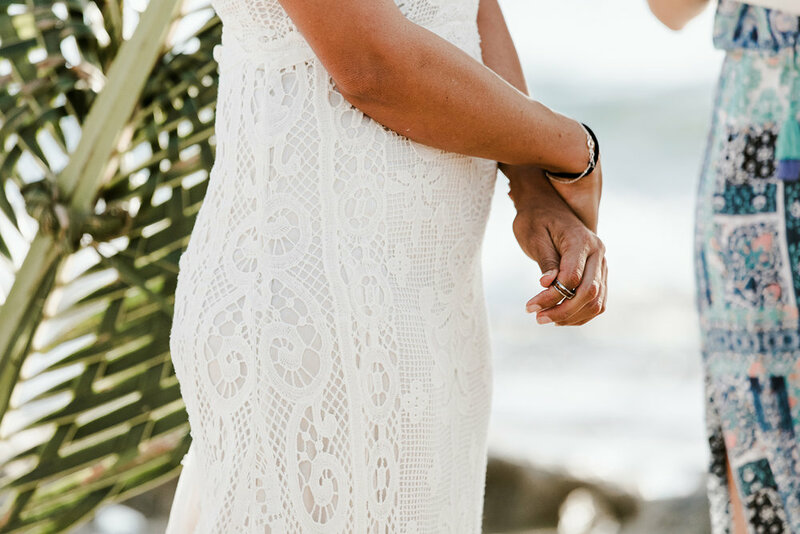 Nina planned on sailing to her ceremony and kept her secret so well, not one person was aware she would arrive on a Hobie Cat sailboat. 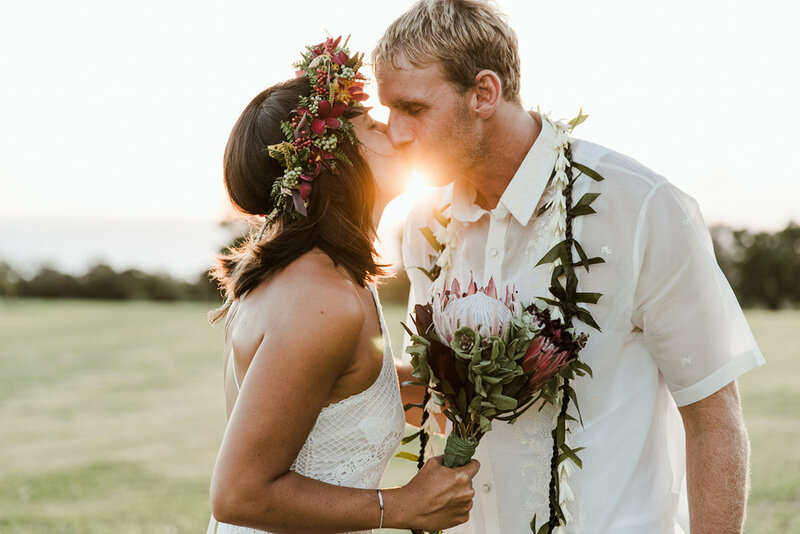 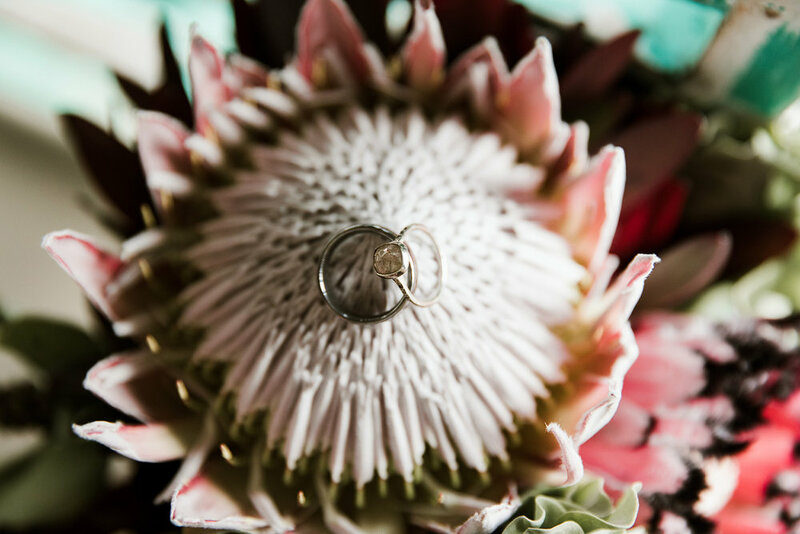 It was a surprise for everyone and an experience she nor Aaron will ever forget. 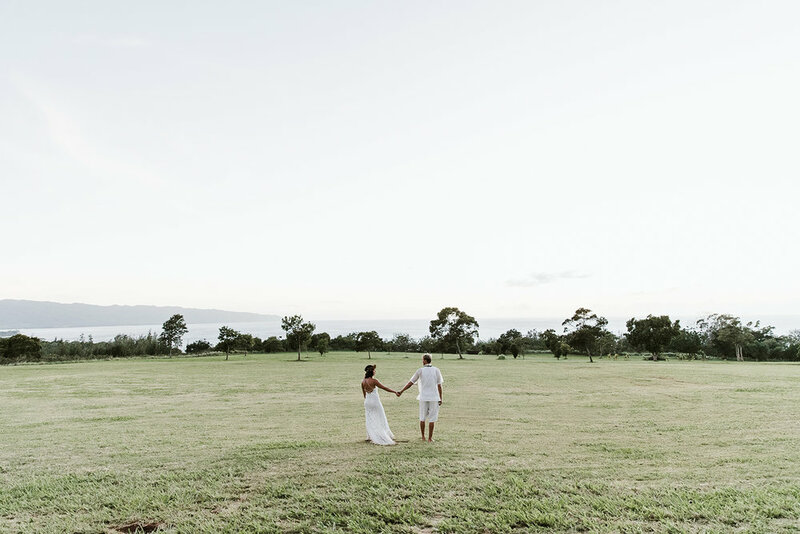 The evening was wrapped up on a beautiful hillside overlooking the ocean where her reception was held.